Needleit: Upcoming exhibit, "Every Island Has A Story"
Upcoming exhibit, "Every Island Has A Story"
I've been working a series of three wallhangings for an exhibit being held at CCCB this month. 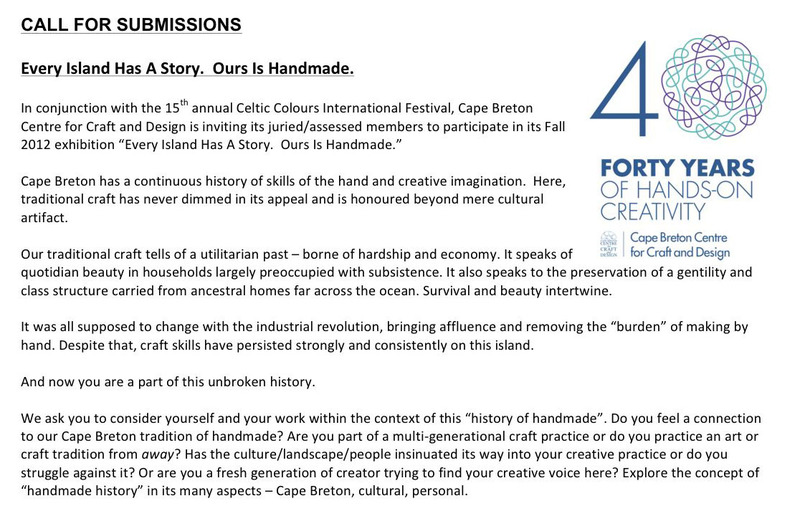 It's to coincide with the Celtic Colors Festival held every October here on Cape Breton Island. I decide to combine the traditional patchwork pieces with the addition of photos and text to show how I see myself as a combination of the two. 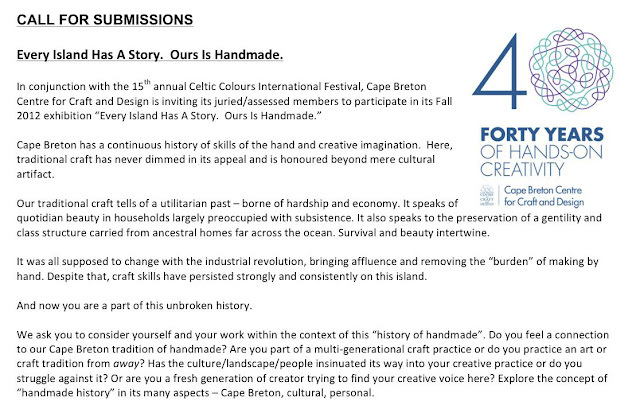 The traditional craft from my family and my own contemporary style combining to create "An Unexpected Harmony". These are the beginnings of the three pieces as I chose colors themes, and photos with accompanying text. These are two of the machine quilting pattern that I designed for the pieces. I blew them up to the finished size of 24 x 36 and then copied them in quadrants with thin plastic which I then pinned to the surface and quilted through. The plastic then easily ripped off and I didn't have to worry about removing marking lines, this worked really well and I'd do it again. Sneak preview of sections of the finished pieces. The exhibit is actually opening tomorrow and I'll post again about the opening and with full photos of the finished pieces. Just saw these fabulous pieces at the Centre. Wow!